Made in the U.S.A. Really! Hi! Mark Conde here with a note about this icon you’ll see in various parts of our site. What does it mean, exactly? Well, you might be surprised to learn that quite a few of our products are indeed handcrafted by me in my Indiana workshop. I’ve been a woodworker for years now and like many people, I turned my hobby into a new business when I started Firepoint Creations. One popular item which I hand-turn and engrave are wooden pens. I use a variety of suitable woods, to give each pen a truly special appearance. Trust me, each one of these engraved pens are indeed unique. 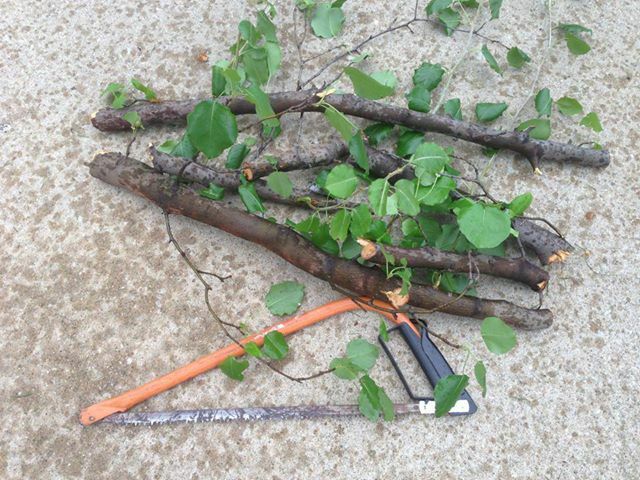 As a matter of fact, I recently pruned some ornamental pear trees on my property and they’ll soon be trimmed, processed and turned on my lathe — for a new batch of wood pens. Some other handmade items include wooden picture frames and wooden cutting boards, along with others. 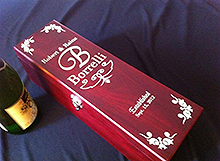 By the way, because I can craft items in my wood shop, it is easy for us to create totally custom designs and engravings. If you have an idea about how one of our products might be modified to fit your needs, or it you have a creative idea for a completely new product, please let me know! Contact me today and let’s talk about it, whether it’s a one-off present for a friend or family member, or a bulk order for a corporate conference, convention or seminar, we’d be happy to help! 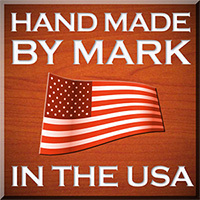 And you’ll be happy to know that your item was proudly Made in the USA!